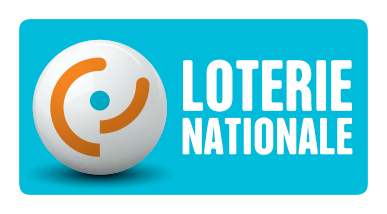 Szrek provides customized lottery solutions to meet all gaming needs: for electronic draws, e-instant or interactive game outcomes, ticket authentication, transaction integrity. All solutions provide built-in proof of integrity for verification on an independent system – trusted audit. regulator, auditor, ICS provider, etc. 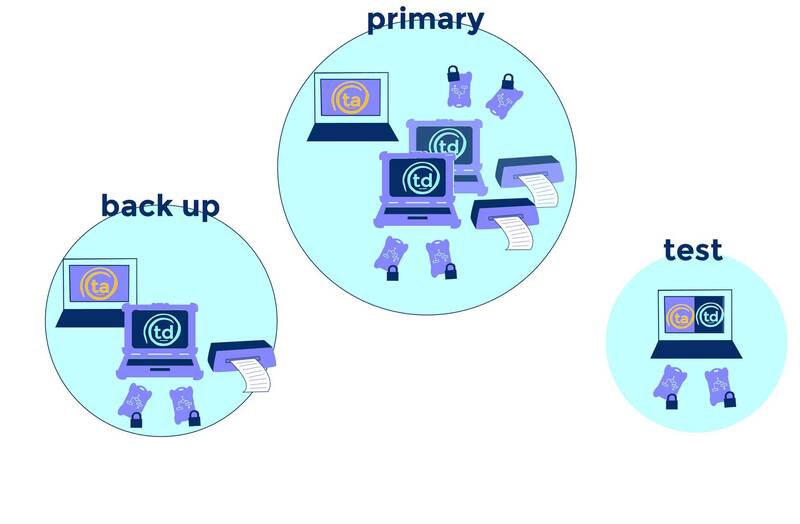 Trusted Draw, Trusted Play, Trusted Transactions, and Trusted Monitor can be integrated in hybrid and connected systems. 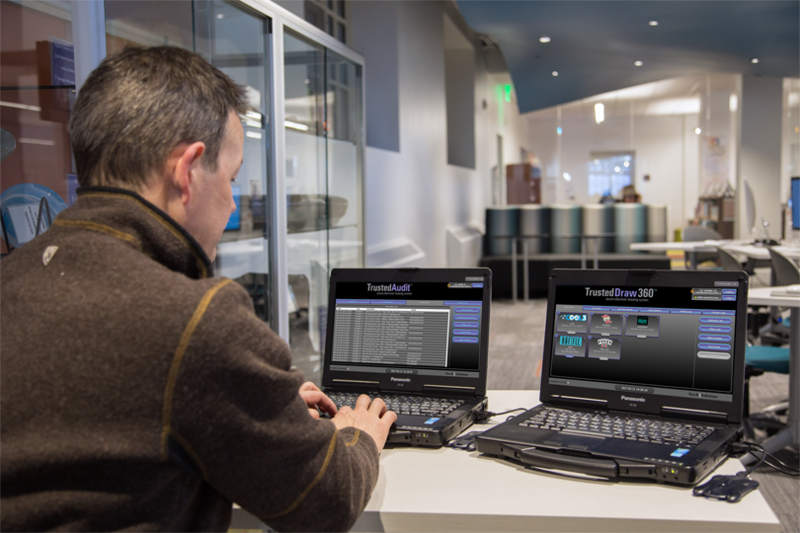 Remote monitoring of draw & auditing operations. Requests for game outcomes and draws triggered from the gaming system and performed automatically. Each server is located in a secure computer room in a locked cabinet and connected securely to the gaming system. 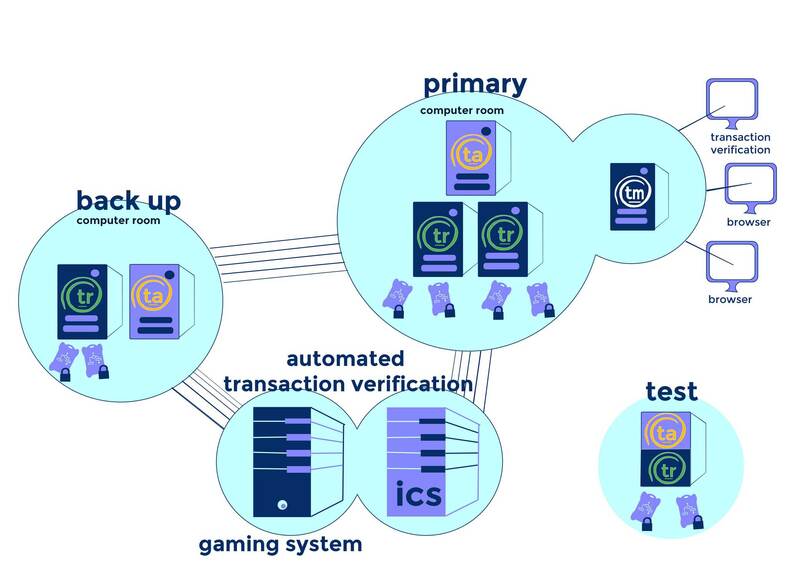 The trusted transaction system digitally signs and stores transactions upon request from the gaming system. The integrity file (a tamperproof Signature Log) is transferred automatically to a separate independent audit system to provide the information for integrity verification. External systems can communicate with the audit system to verify transactions. Each server is located in a secure computer room in a locked cabinet and connected securely to the gaming system. 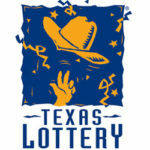 Secure ticket indicia data is automatically generated upon request from the gaming system. The integrity file (a tamperproof Signature Log) is transferred automatically to a separate independent audit system to provide the information for integrity verification. 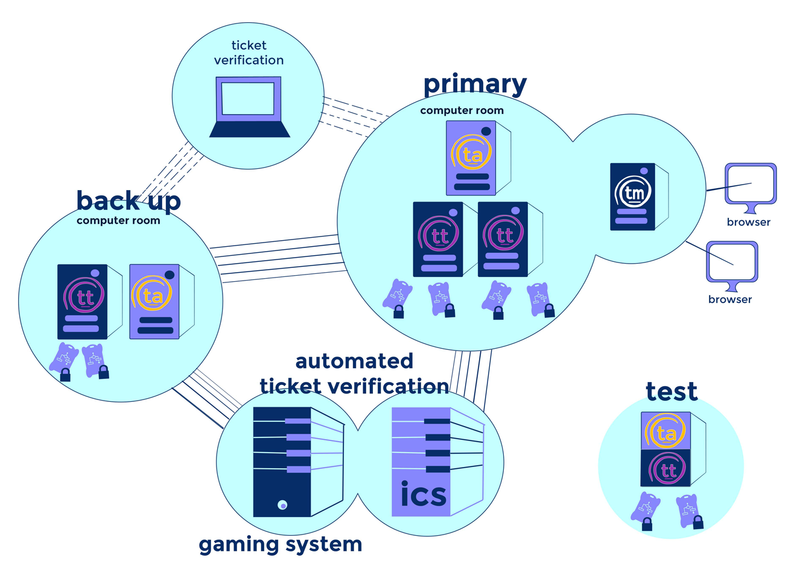 An external system can communicate with the audit system to verify ticket security indicia. Each RNG server is located in a secure computer room in a locked cabinet and connected securely to the gaming system. Random outcomes are triggered by the gaming system and sent back from the RNG to the gaming system. The RNG integrity file (a tamperproof Signature Log) is transferred automatically to a separate independent audit system to verify the integrity of the random numbers generated. 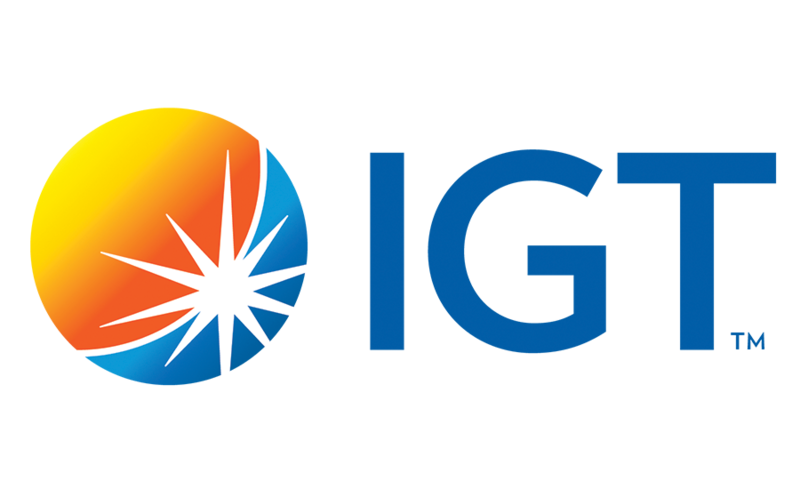 An internal control system (ICS) can communicate with the audit system to reconcile the RNG outcomes between the gaming system and RNG system. Verified results are confirmed and communicated to the public, etc. Requests for game outcomes triggered from the gaming system and performed automatically. Draw and audit triggered from the gaming system and performed automatically. 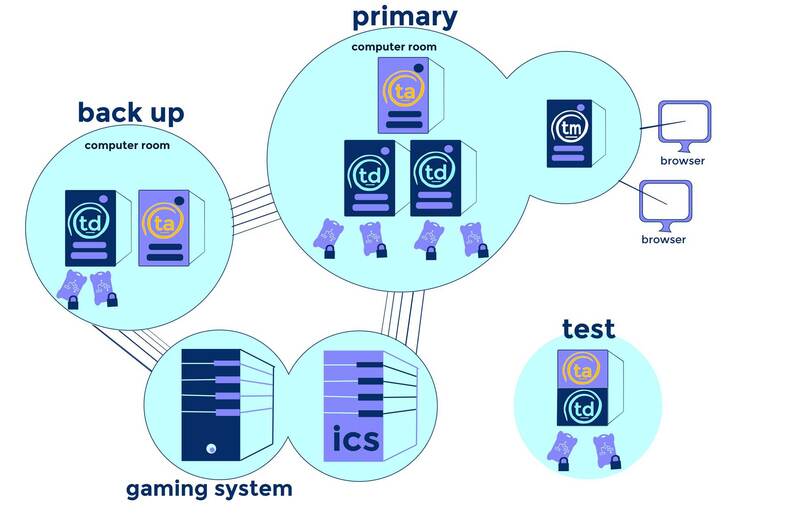 Each RNG server is located in a secure computer room in a locked cabinet and connected securely to the gaming system. Automated draws are triggered by the gaming system and the draw results are sent back from the RNG to the gaming system, without any human interaction. Draw triggered automatically from the gaming system and manually by draw staff using the remote Graphical User Interface (single-click draw). Audit can be automated or manual. 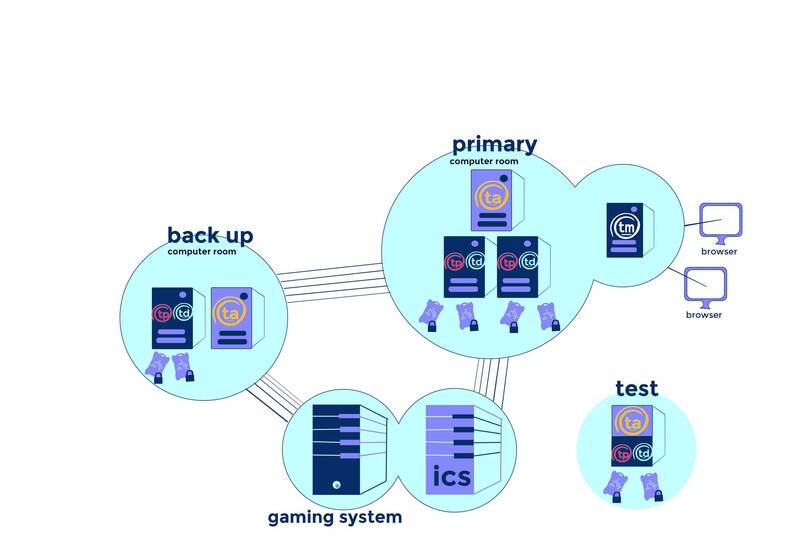 Each RNG server is located in a secure computer room in a locked cabinet and connected securely to the gaming system and a remote Graphical User Interface (GUI). Automated draws are triggered by the gaming system and the draw results are sent back from the RNG to the gaming system, without any human interaction. Manual draws are performed by draw staff from the secure draw room using a remote GUI, eliminating human access to the RNG server. Draw reports are generated, printed, and automatically exported to the gaming system. The proof of draw integrity file (a tamperproof Signature Log) is transferred automatically or manually to a separate independent audit system to verify the draw integrity file. 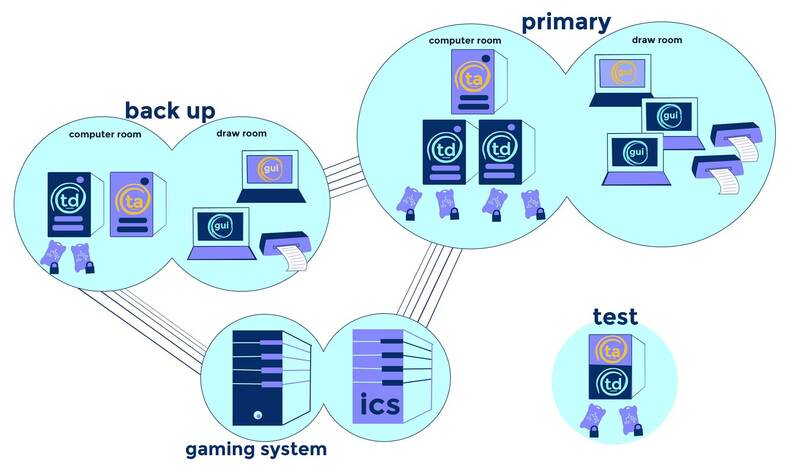 An internal control system (ICS) can communicate with the audit system for verification of the draw results between the gaming system and draw system. Verified draw results are confirmed on the gaming system and communicated to the public, etc. Draw and Audit performed manually by draw staff using the remote Graphical User Interface (single-click draw). 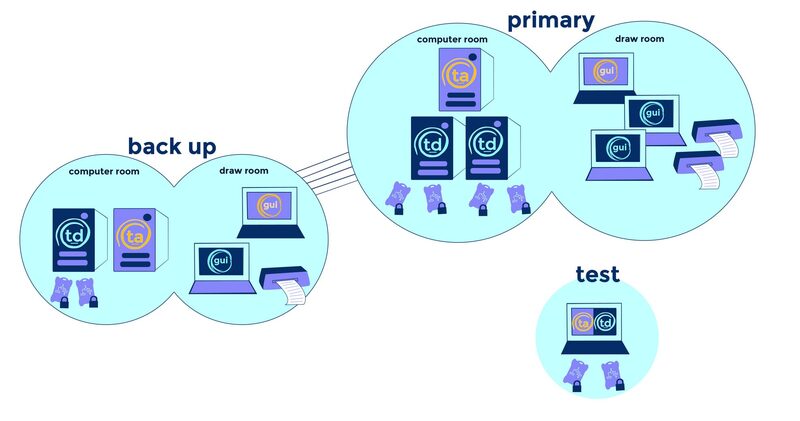 Each RNG server is isolated in a secure computer room in a locked cabinet and connected securely to a remote Graphical User Interface (GUI) with no other connections (air-gapped). Draws are triggered from the secure draw room by a remote GUI. Using the remote GUI – which eliminates human access to the RNG server – draw reports are generated, printed, and exported to a USB drive. The proof of draw integrity file (a tamperproof Signature Log) is transferred to a USB drive for further verification. A separate independent audit system, located in the computer room, is accessed by a remote GUI in the draw room to verify the draw integrity file. Verified draw results can be communicated to the gaming system, public, etc. Each RNG system is isolated, offline, and not connected to any network. Draws are triggered by draw staff in the secure draw room on the offline TD 360 system. Draw reports are generated and can be printed and exported to a USB drive. The proof of draw integrity file (a tamperproof Signature Log) is transferred to a USB drive for further verification. A separate independent audit system is used to verify the draw integrity file. Verified draw results can be communicated to the gaming system, public, etc.